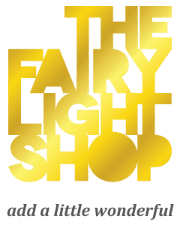 The Fairy Light Shop is a NZ owned business for trading/registration purposes. Unless otherwise stated, all prices shown are in NZ dollars and include GST. We accept payments by bank transfers as well as Visa/Mastercard. Please read these Terms and Conditions (“Agreement”, “Terms and Conditions”) as well as the related delivery, returns and privacy policies below before using https://thefairylightshop.com or .com.au or .co.nz (“the Site”) operated by The Fairy Light Shop (“us”, “we”, or “our”). This Agreement sets forth the legally binding terms and conditions for your use of the Site at http://thefairylightshop.co.nz/.com or .com.au or .co.nz domains. This Agreement was last modified on April 5, 2016. The Fairy Light Shop will despatch your order as soon as possible after payment has been received. Items may be returned to The Fairy Light Shop within 7 days as long as they are in their original condition and packaging. Proof of purchase must also be provided. All items bought from The Fairy Light Shop are covered by a 12 month manufacturing guarantee. Products with a manufacturing fault will be replaced by The Fairy Light Shop. Items will not be replaced that have been damaged by the customer after purchase. The Site and its original content, features and functionality are owned by The Fairy Light Shop and are protected by international copyright, trademark, patent, trade secret and other intellectual property or proprietary rights laws. Our Site may contain links to third-party sites that are not owned or controlled by The Fairy Light Shop.